Dr. Campbell graduated from the University of Waterloo with his Bachelor of Science and his Doctorate of Optometry degree in 1988. He completed a therapeutics course in 1995 from the Northeastern State University College of Optometry, Tahlequah, Oklahoma. He looks forward to the expansion of the scope of practice that will permit him to provide further treatment services to his patients. He is interested in general practice including vision testing, pre and post laser follow up, children’s vision care, contact lenses, pre and post cataract assessments, and therapeutics management. Dr. Campbell has participated in an eye care mission in Guyana to provide eye care to the under privileged. He has held the position of past president with the Ottawa Optometric Association and currently holds memberships with the Ontario Association of Optometrists, Canadian Association of Optometrists, and the American Optometric Association. In his spare time Dr. Campbell enjoys music, travel, cottage life, gardening, skiing and cycling. 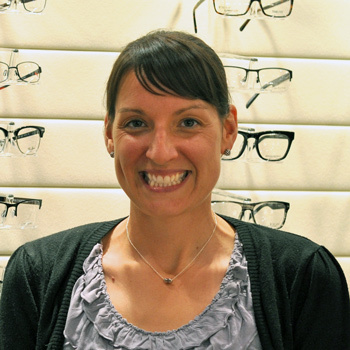 Dr. Sara Anstey has been an associate at Conroy Optometric Centre since 2008. She is from Charlottetown, Prince Edward Island and obtained a bachelor in science degree at UPEI. She then obtained her doctorate in Optometry, graduating with honors, at the University of Waterloo in 2008. During her fourth year of optometry she completed an ocular health externship at the John-Kenyon American Eye Institute in Louisville, Kentucky. Dr. Anstey was awarded by the Ontario Association of Optometrists for excellence in patient management upon graduation at Waterloo. In her spare time Dr. Anstey enjoys spending time with her two boys and her husband. She also enjoys playing competitive soccer, travelling and reading. 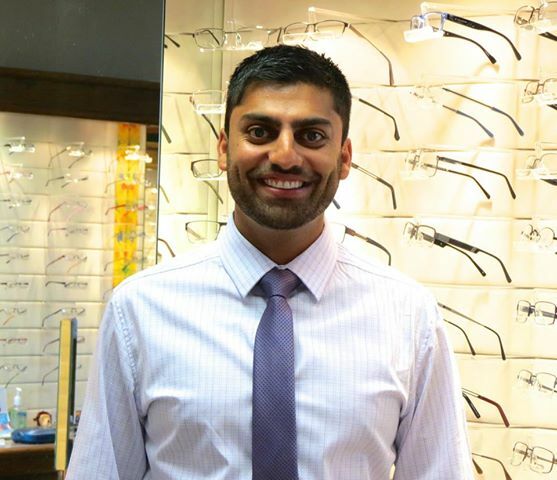 Dr. Sameer Dedhar, originally from the Ottawa area, has been an associate at Conroy Optometric since 2013. After completing a Bachelor of Science degree at Carleton University in 2007, he went on to complete a second Bachelor of Science in Ophthalmic Medical Technology at the University of Ottawa Eye Institute in 2009. This experience spurred his interest into pursuing Optometry at the University of Waterloo where he received his Doctor of Optometry degree in 2013, graduating with honours. Dr. Dedhar is especially passionate about providing volunteer optometric care. He has served on the executive committee for VOSH-Waterloo (Volunteer Optometric Services to Humanity) and had the opportunity to volunteer in clinics in Morocco, Peru and Nunavut. In his final year, he completed an internship at the Lions Sight First Eye Hospital in Malawi, Africa, for which he was awarded the David Johnston International Experience Award. In his spare time, Dr. Dedhar enjoys playing hockey, golf and tennis. He also enjoys spending his evenings at the local arena where he is a referee for minor hockey.